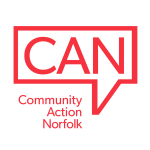 Community Action Norfolk has been providing support for people who manage village halls and community buildings in Norfolk for more than 25 years. We fully recognise the valuable contribution your facilities make to rural communities and understand the unique challenges that you can face when trying to comply with the legal requirements of a public venue whilst generating sufficient income to remain sustainable. We offer an advice and support service specifically tailored for village halls and community buildings which draws on the support of the countrywide Village Hall Advisers Network and the national ACRE village hall information service. Members can access a wide range of exclusive fact sheets and templates and supported by case which clearly explain all aspects of managing and maintaining community assets. Identifying Needs – Helping you to engage with your community effectively as well as using data to understand their needs. Operations - Support you to run your day to day activities well by helping you develop the systems, processes and policies that mean your organisation operates efficiently, safely and legally. Skills and Knowledge – Support the people involved in your organisation to understand their roles and develop the skills and knowledge they need through training and support. Engagement – Help you to involve the people you need either as volunteers or participants in your organisation's services and activities. Partnership – Support you to develop relationships with other organisations to enable co-operation and effective partnerships. Strategic Planning – Help you develop your vision for the future and know where you want to get your organisation to. Acting as mediator when conflicts arise and making sense of the sometimes the complex relationships which can develop. Training for those managing play areas and Playground inspections. Support in developing consultations including access to e-voting systems and electronic questionnaire development. Be part of a wider community and gain access to additional services and resources and regular information updates by becoming a member of Community Action Norfolk.